European Union. 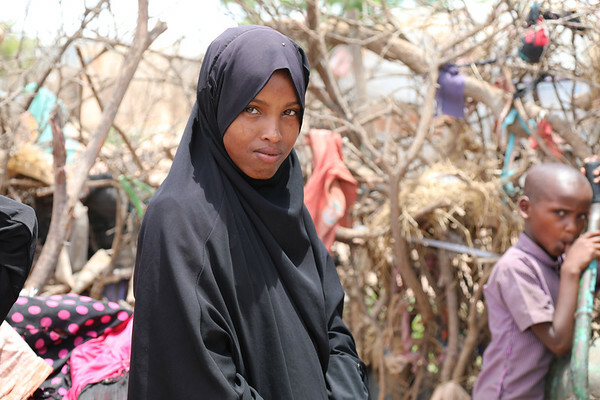 A consortium consisting of the Somaliland Ministry of Education and Science, CARE International, the Norwegian Refugee Council and Save the Children implements the programme. “There are eight people in my family, my mother, father, five girls and one boy. My father is in town. He works as a casual labourer, as a loader. My mother stays at home. All of us children go to school, apart from the youngest, who is only three years old. We have been living here for five years. Previously, we lived in Hargeisa. We rented rooms there for a long time, but here we have our own house. Before, we didn’t go to school. I only began going to school when we moved to Digale. We like living here, because we have a place to live, a house, a school. We get an education. I like school, and it’s good for my future. I want to become a teacher. I would like to teach my siblings. I’m sure that I will achieve my dreams if I complete my education.